NutriMost is an innovative wellness and weight loss company that utilizes proprietary technology, NutriMost Intelligence, to construct programs that help people live healthier lives. 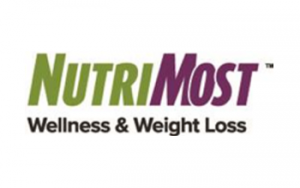 NutriMost offers the NutriMost Weight Loss Program, the NutriMost Forever Program, all-natural supplements, bath, body, and personal care products. NutriMost Programs are entirely customized for each individual and focus on education, personalized food and supplement plans, and client support. Using NutriMost Intelligence, we analyze a client’s health history, wellness objectives, and specific vitamin and mineral deficiencies to generate a Weight Loss Program uniquely designed for each individual. Our wellness program, the NutriMost Forever Program, teaches individuals how to live a healthy lifestyle through nutrition, supplementation, activity level, and life choices. Both programs are entirely customized for each individual’s unique requirements and focus on education, personalized food lists, and personalized supplement plans, along with exceptional client support. We offer professional guidance as well as high-quality, professional-grade nutritional products. This is one of the many wonderful aspects about being a NutriMost Wellness and Weight Loss franchise. Our clients are extremely passionate about NutriMost; they are literally walking, talking billboards. Clients are passionate about NutriMost because it impacts their lives on a very personal level. Because of the results of our programs, we have something that every brand wants—a community of die-hard followers that promote the brand. This is due to such a strong emotional connection associated with our clients’ success, their happiness, and pride in their achievements. They call themselves the “NutriMosters” and social media continues to propel this movement. Is This Franchise Right For You? NutriMost Wellness & Weight Loss is a high growth, professionally supervised wellness and weight loss franchise that is selectively available to nurses, physical assistants, doctors and other highly regarded health practitioners, as well as business-minded individuals willing to retain the services of a healthcare professional in that capacity. Our business concept is very unique. Every product offering and communication is parlayed into establishing a long-term business relationship with clients. The growth and dynamics of a NutriMost Wellness & Weight Loss franchise is rewarding professionally, personally and within one’s community. Request more information below to get started!